ALTA 2011 comprised 3 International Conferences held over five days, May 23-27, at the Burswood Convention Centre in Perth, Western Australia. 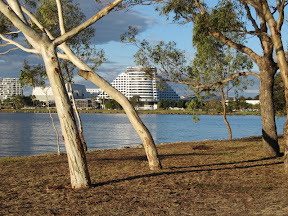 The Convention Centre is part of the Burswood Complex, a few miles south-east of downtown Perth, containing two upmarket hotels, a casino, golf course and expensive restaurants. In recent years the conference has been held in downtown Perth, and I would be interested to know how regular attendees feel about the move to Burswood. Being neither a gambler nor a golfer, I know that I would have preferred downtown, but I am aware that there were sound reasons for choosing this venue. The week started off with the 3-day Nickel-Cobalt-Copper conference from Monday to Wednesday and then the Uranium and Gold Conferences, run in parallel on Thursday and Friday. The annual ALTA conferences are now well established, and have been held every year in Perth. Just as the CMP conference in Ottawa is an annual meeting place for Canadian Mineral Processors, so does ALTA provide a meeting place for Australian hydrometallurgists to gather. But ALTA is much less parochial than CMP and in the 5 day programme only half of the 71 papers were from Australia, which is commendable as Perth sits close to the huge catchment area of Western Australian mining. This was indeed a truly international event with a total of 286 delegates preregistered, 171 of these from Australia, one of the 26 countries represented, with 19 from USA, 15 from Canada, South Africa (12), Japan (11), China (8), Finland (10), Germany (7), UK (6), France and Singapore 4 each, Poland (3), Russia, Italy, Philippines and New Zealand with 2 each, and South Korea, Sweden, Egypt, Turkey, Ghana, Netherlands, Papua New Guinea and Chile each with one delegate. There was very little representation from academia. 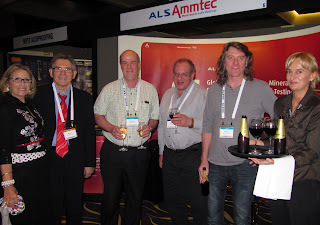 This is essentially an operators conference, although major research institutions, such as CSIRO and the Parker Centre were well represented, as were suppliers of equipment and chemicals to the mining industry. 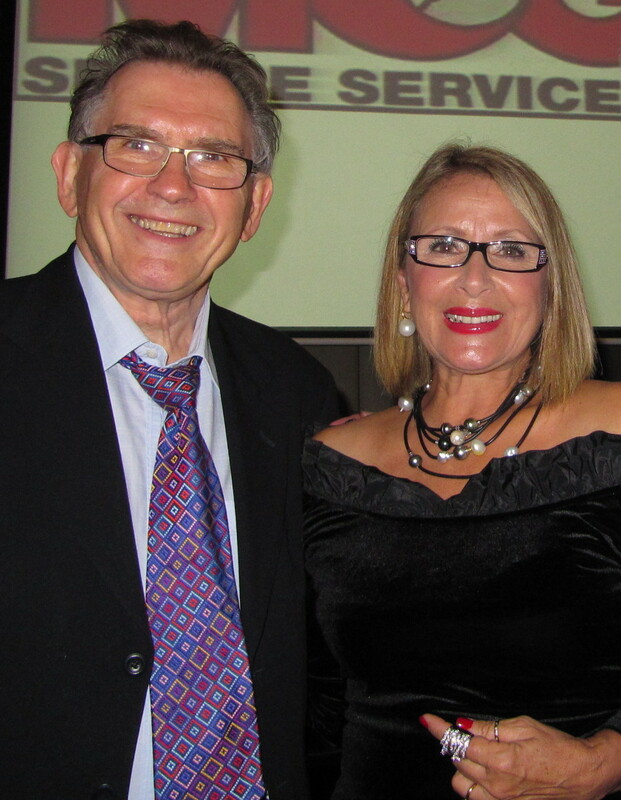 The conferences are run by ALTA Metallurgical Services, led by its Principal, the indefatigable Alan Taylor, with his wife Joan. 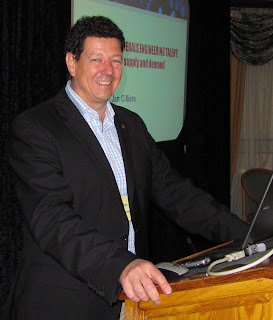 Apart from overseeing events, he presented three papers in the technical sessions, as well as presenting two one day short courses, prior to and immediately after the conferences! The following is my diary of events over the week, which I hope will be supplemented by comments from delegates. After registering in the afternoon I attended the evening "Icebreaker" held in the conference exhibition area, where 35 exhibitors displayed their services. Having looked through the delegate list, this is a unique conference experience for me, as I recognise only about a dozen of the names, so there are many new people to meet this week. I met for the first time Alan and Joan Taylor of ALTA, pictured with Bryn Harris of Canada, who I had never met before, but is very active with CIM, John Canterford (Australia) and Mike Adams of Mutis Liber, Australia. Alan Taylor welcomed delegates to the conference this morning, then introduced David Weight, of the Cobalt Development Institute, UK, who opened the Ni/Co/Cu sessions with his review of cobalt and its future challenges. This was followed by 7 papers on the treatment of laterites and 4 on heap leaching and bioleaching. 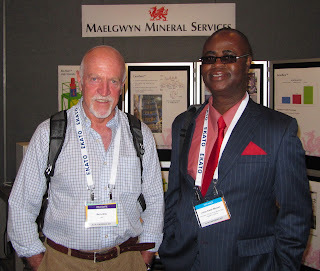 As always I will be reporting more on people than presentations, and reports on the latter will be published in the June issue of Gold & Minerals Gazette (GMG). A preview of the papers can also be found in the May issue of the magazine (pps. 30-36). While MEI is the International Media Sponsor, GMG is the official media magazine for the conference. The magazine, run by Australia's Resource Information Unit (RIU) is also a media sponsor for MEI's Cape Town events, Flotation '11, Comminution '12 and Precious Metals '12. GMG's Advertising Manager, Marcia Lewis, was keen to show me the new iPad version of the magazine, launched in the May issue, which will soon be a free application on iTunes. Exhibitors were given maximum exposure, as lunch and coffee breaks were held in the exhibition area. One of the few academics at the conference, Prof. Jonas Addai-Mensah, of the University of South Australia's The Wark, presented a paper today on optimisation of nickel laterite ore agglomeration for enhanced heap leaching. It is a shame that there are not more academics here. Jonas tells me that he attends this meeting every year and finds it invaluable to network with people who are at the 'sharp end' of processing, and as a result has found many sponsors for his research. There were 13 papers presented today, dealing with solvent extraction, ion-exchange, electrowinning, sulphide leaching and new projects. 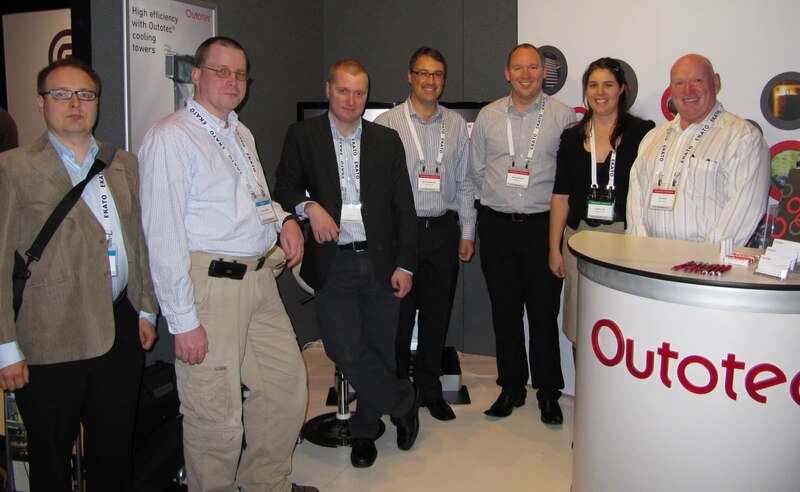 Two of the papers were from our Flotation '11 sponsors Outotec, who are represented by a strong team of 7 from Finland and Australia. They were enthusiastic about their new high efficiency cooling towers, seen as a solution for processes requiring efficient direct cooling. Zinc and copper solvent extraction are examples of the new processes in which the cooling towers can be used with low emissions. They are also being used in zinc plants for electrolytic cooling and gypsum removal and are also included as part of the chloride removal process. We hope to have more information soon on MEI Online. The convention centre was the venue for this evening's conference dinner. During predrinks a few delegates, who were accompanied by their wives, expressed surprise that Alan Taylor had chosen such a social event to present his keynote lecture on pressure acid leaching (PAL). They need not have worried, as this turned out to be an entertaining 10 minute double act between Alan and his vivacious wife Joan. After Joan had wittily and affectionately introduced Alan, he provided a light-hearted look at the ups and downs of the life of PAL, comparing it to the fortunes of the long life of 007 in the movies, drawing on parallels such as "You Only Live Twice", "Never Say Never Again" etc. Judging the success of a conference dinner is a very personal thing, dependent mainly on two things, the quality of the food, and the personalities of your table partners. 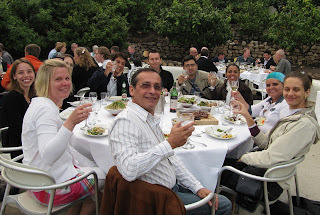 The food was excellent, as it has been all week, and I was lucky enough to be sharing a table with Alan and Joan, Suresh Bhargava of RMIT, and Pete Smith of Mogas Industries, the sponsor of the dinner. I was also pleased to be sitting with the affable Jonas Addai-Mensah and got the opportunity to talk to David Weight, who opened the conference, and his delightful wife Mandy. All in all I had a very pleasant evening. The last day of the base metals conference, starting with 5 presentations on equipment and materials, including a paper from the Shanghai Morimatsu Pressure Vessel Company. This Chinese company has five representatives at the conference. The Morimatsu Industry was founded in Japan in 1947, the Shanghai company being established as a subsidiary of Morimatsu Japan in 1990. The company manufactures a wide range of carbon steel and stainless steel vessels. A series of titanium-clad autoclaves has been developed for pressure and atmospheric leaching, and will be installed in nickel refineries in Madagascar, Papua New Guinea and Botswana. After last night's light-hearted look at pressure acid leaching, the day finished with a serious forum on PAL, concluding with a panel discussion on the subject. It is interesting to note that over half of the papers in this Ni-Co-Cu programme have been directly related to nickel, particularly to the processing of laterite deposits, which is increasing in importance with increasing demand for nickel. This is one of the main themes of next year's Nickel Processing '12 in Cape Town. ALTA split into parallel sessions today, with the start of the conferences in uranium and gold. Each conference commenced with a keynote address. Suresh Bhargava, of RMIT University, Australia, discussed the challenges and research opportunities in uranium leaching, and Ed Clerk, of Golder Associates, Australia, presented an overview of the application of the Cyanide Code. Most of the day's papers in the gold conference were concerned with leaching, and in the uranium conference with solvent extraction, ion exchange and refining, but both conferences opened with non-hydromet papers. Lutke von Ketelhodt, of Commodas Ultrasort, South Africa provided an update on the optical sorting of Witwatersrand gold ores, while Mark Pownceby of CSIRO discussed the geometallurgy and processing of Australia's uranium deposits. Geometallurgy is one of the hot topics in mineral processing at the moment, and Mark is hoping to present more of his work at next year's Process Mineralogy '12. He is one of five members of the CSIRO team at ALTA who are involved with the peer-review of papers submitted to Minerals Engineering. 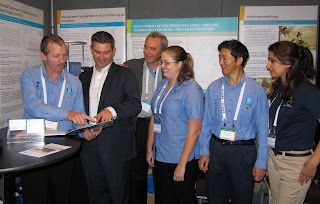 There have been 7 presentations during the week by the CSIRO/Parker Centre, who are here in force, not only to present their work, but to display and discuss it in their exhibition booth. 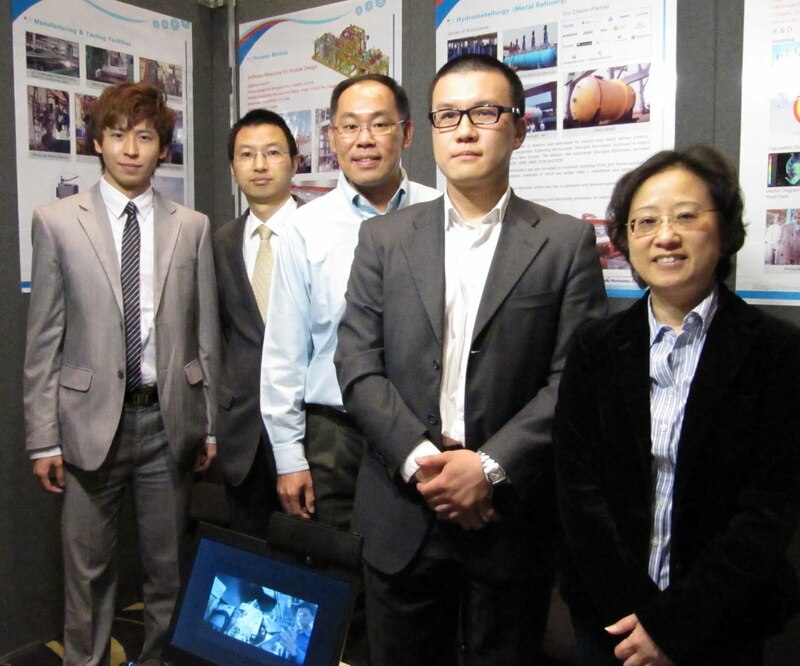 The Parker Cooperative Research Centre (CRC) for Integrated Hydrometallurgy Solutions has grown, since its establishment in 1994 into the world's leading hydrometallurgical research and education provider. It is a multi-million dollar collaborative venture between CSIRO Process Science and Engineering, Curtin University (including the WA School of Mines), Murdoch University and the University of Queensland, and several major industrial participants. The Au/U conference dinner in the evening was held at the Royal Perth Yacht Club. 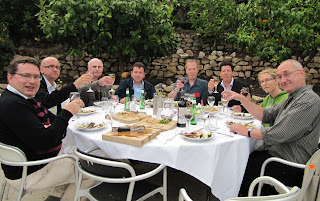 Good food and company again, with entertainment provided by a local singer. The last day of the uranium conference dealt mainly with SX/IX/Refining, and leaching, while the whole of the day in the gold conference was spent on cyanide destruction and recovery. The traditional methods for cyanide destruction, Caro's Acid, sodium meta-bisulphite (SMBS)/air and hydrogen peroxide were discussed in depth, and Mike Adams presented an interesting alternative, the MMS CN-D process, which is claimed to provide complete destruction of total cyanide and cyanate using oxygen only, in a superoxygenated Aachen Reactor, thus having the advantage of no requirement for hydrogen peroxide storage or generation of sulphuric acid or sulphates, as with the other options. 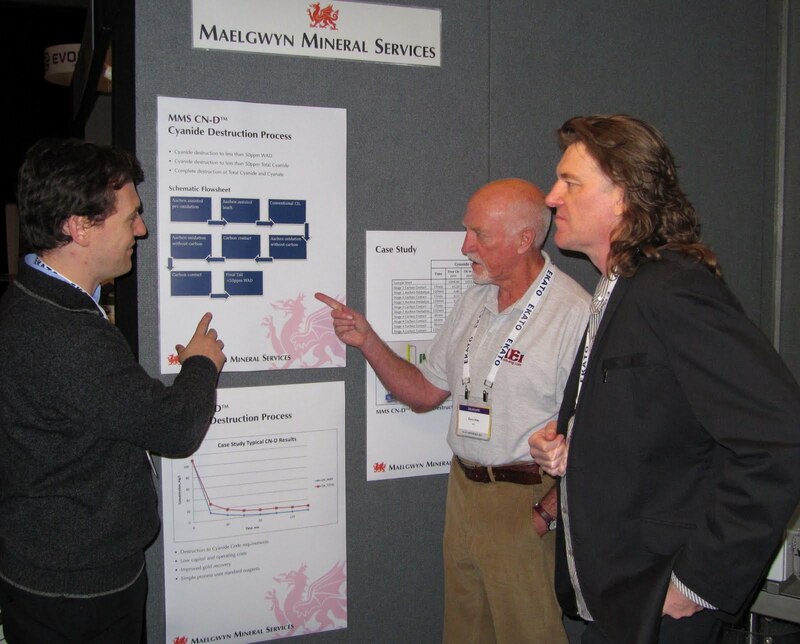 The process has been developed by the small, dynamic UK company Maelgwyn Mineral Services (MMS), who Mike was representing, as a consultant, at the conference. 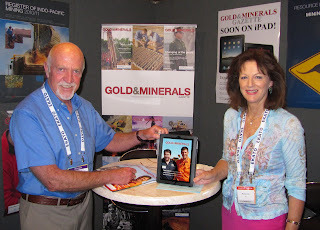 Mike is well known as the editor of the seminal book Advances in Gold Ore Processing. He has his own consultancy company, Mutis Liber, and consults for various other organisations, including MEI, where he advises on Precious Metals '12. And so at 4pm, after short panel discussions, ALTA '11 came to an end. I have been really impressed with this conference, its participants and its organisation and hope to make it a regular MEI fixture. I am told that around 250 people finally registered for the 3-day base metals conference, and about 200 for the two days on gold and uranium, 140 delegates being registered for the full five days. Having now returned to UK, there are a few delegates that I would like to contact about various things, but unfortunately email addresses were not supplied with the delegate list. Maybe this is something which could be considered for next year? My only gripe, which is nothing to do with ALTA, is the price of WiFi internet connection in Australia. When are major hotels going to wake up to the fact that business travellers these days expect free WiFi in their rooms - cable connections are useless with devices such as iPads, which are increasingly used? I had to work in the noisy hotel lobby, where WiFi was $10 for 30 minutes. Even more scandalous, the convention centre charged conference delegates a "special" rate of $75 per day! There is a call for papers for ALTA '12, to be held in Perth again, from May 28th-June 1st. The papers from ALTA '11 are available as either E-Documents (by email) or CDs. Contact office@altamet.com.au for further details. ﻿After a 32 hour journey from Perth, I went straight to the fishing port of St. Mawes to see Amanda complete her charity swim across the Fal estuary, from Falmouth's Pendennis Castle to the castle at St. Mawes. She raised over £200 for the Royal National Lifeboat Institute, and would like to thank all of those who generously sponsored her swim. I am only sorry that, due to travelling, I could not take part myself! I had a very pleasant evening last night at the ALTA conference dinner in Perth, sharing a table with Alan and Joan Taylor, the conference organisers. 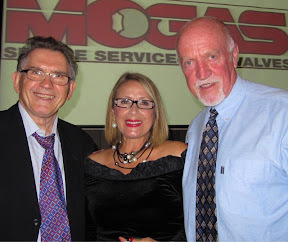 Metallurgical consultant Alan established ALTA Metallurgical Services in Melbourne in 1985, to serve the mining, minerals and metallurgical industries world-wide. He has continued as Principal to the present time. He has over 30 years international experience in the mining, metallurgical and chemical industries, involving consulting, project development, study management, engineering, operations, plant start-up and technology development. 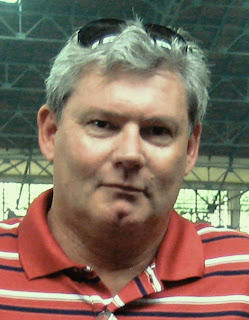 Prior to ALTA, Alan spent many years in senior positions with major international engineering firms. Alan and his Guyanan-born wife Joan have been running the ALTA conferences for the past 15 years, currently with the aid of the part-time assistance of one of their five daughters. While Alan looks after the technical side, Joan ensures that services such as catering run smoothly, much the same as Barbara is involved with MEI events. The success of ALTA conferences is a testament to "small is beautiful" and they have a lot in common in this respect with the MEI team. It has been a pleasure to meet them and long may our relationship prosper. I am in Perth, Western Australia, this week for the 5-day ALTA Cu/Ni/Co/U/Au conference at the Burswood casino complex a few miles from downtown Perth. The conference got under way this morning, with around 290 delegates present, representing 26 countries. MEI is the International Media Sponsor, and I hope to have my conference diary on the blog at the beginning of next week. As a result of discussions at the recent SRCR '11 conference, it has been decided to increase the scope of Minerals Engineering, to take into account increasingly important environment issues which have validity to the minerals community. The aims and scope of the journal will now include environmental issues, particularly those pertaining to sustainable development, and the use of mineral processing techniques in the recovery and recycling of materials in industrial waste and WEEE. 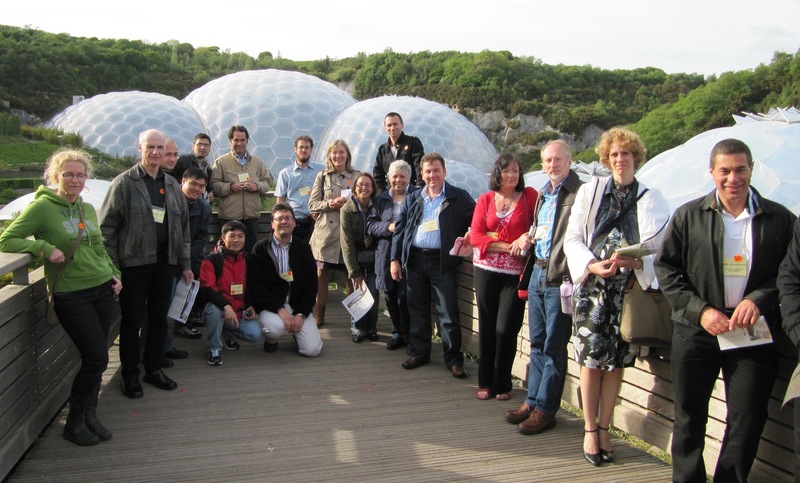 Sustainability through Resource Conservation and Recycling '11 got under way this morning, and I welcomed our 46 delegates, representing Australia, Belgium, Brazil, Canada, Colombia, Egypt, Finland, France, Iran, Mexico, Netherlands, Portugal, South Africa, South Korea, Sweden and UK. Although a truly international audience, the turnout for a subject of such importance was low, but not altogether unexpected, as I discussed in Tuesday's posting. After a brief introduction to Cornwall, I introduced our consultant, Prof. Markus Reuter, of Outotec, Australia, our corporate sponsor. 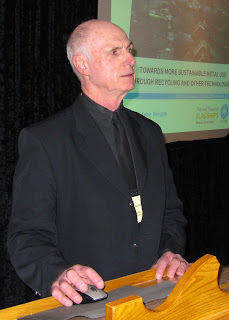 Markus discussed the role of a technology supplier in enabling sustainability, and then introduced the first keynote speaker, Terry Norgate of the CSIRO Minerals Down Under Flagship, Australia, who spoke about the various issues relating to the sustainable production and uses of metals. Resource consumption is rising rapidly, driven by population growth and rising wealth, and metals are a significant component, due to society's almost insatiable demand, to provide useful services via metal-containing products. Sustainable development requires greatly improved efficiencies in the use of resources, and also major reductions in waste generation and emissions, in order to break the link between economic expansion and resource consumption. The need to supply primary metals will be supplemented by increasing amounts of secondary metals from recycling of metal stocks in use. There were six papers in the morning's technical session (the conference abstracts can be viewed on MEI Online, and the conference papers are available on CD), four from Australia, and two from Finland's Aalto University (formerly Helsinki University of Technology). Australia is represented by eight delegates, and Finland four, all the latter being from Aalto. The afternoon session contained papers from South Africa, Finland and Australia. Unfortunately the Egyptian author did not show, probably due to visa problems. We must stress that delegates to future conferences apply for visas well in advance. I had emails today from the delegates from Iran and Netherlands to advise that they had failed to obtain their visas in time to travel. There is no better therapy after a hard day's conferencing than to walk the beautiful Cornish coast path and there was a good turnout in the late afternoon for my 6 mile guided walk, which ended with a welcome beer at the old Chain Locker pub in Falmouth town. Events such as this provide a great way for delegates to really get to know each other in a relaxed social atmosphere. It was good to see so many young presenters who are making their international conference debuts this week. 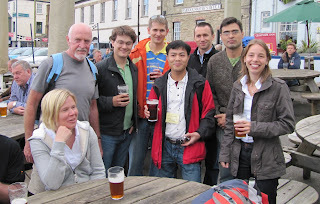 I am pictured with them at the pub (below right): Gregory Lewis (Belgium), Ben Jones (Australia), Nguyen Nghiem (Korea), Artem Golev (Australia), Rodrigo Silva (Brazil) and Madeleine Scheidema (Finland). 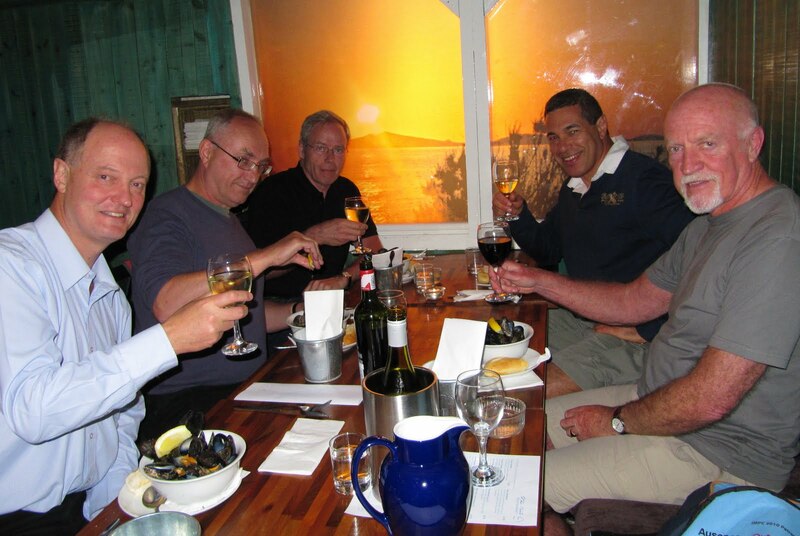 The pub is in Falmouth old town with many excellent restaurants in he vicinity. I had a great evening in The Hut with Dean Eastbury, Elsevier publishing manager, and Minerals Engineering Editorial Board members Markus Reuter, Kari Heiskanen and Jannie van Deventer. 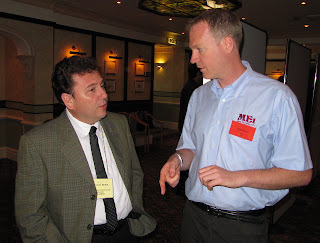 Kari is also co-editor of International Journal of Mineral Processing. The day got off to a fine start with an excellent keynote presentation from Prof. Richard Williams of University of Leeds, UK, entitled "Rethinking separation methods and sustainable uses of fine minerals". He discussed the prospects for re-use of fine mineral waste particulates in engineered products by recovering and separating ultra-fine minerals and assembling them into new materials. In the separation process an alternative flotation method was described using aphron systems to recover fine materials, and in the assembly process some alternative methodologies using environmentally preferable surfactants were explored. The presentation attracted lively discussion, particularly between one of Richard's co-authors, Jan Cilliers of Imperial College, and Jannie van Deventer, of University of Melbourne. Although the paper is not in the proceedings CD it will be submitted to the special issue of Minerals Engineering and is certain to generate much interest. delayed flight, but was surprisingly cheerful despite having lost his baggage and two posters en route! After a late lunch another great social networking experience, out first conference dinner at Cornwall's famous Eden Project. 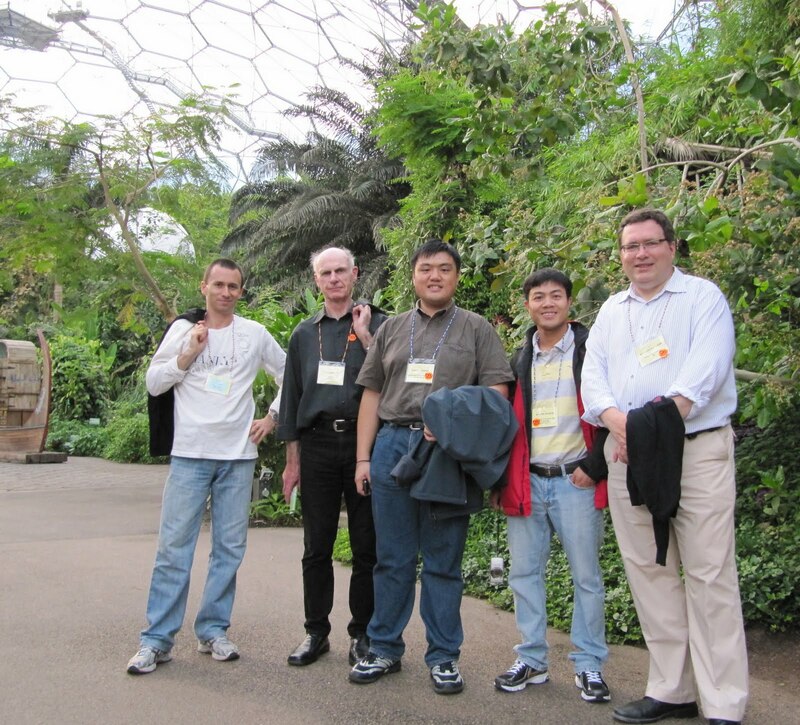 This proved to be a memorable occasion, as we were privileged to have the two, normally crowded, biomes to ourselves, with plenty of time to experience the heat and humidity within the Rainforest biome, before meeting up in the Mediterranean biome for drinks and an excellent barbecue. Eden was a truly special experience, and we will be back there next year for Biohydromet '12. Prof. Jan Cilliers, of Imperial College, UK, presented the 3rd and final keynote lecture this morning, on the sustainability of minerals engineering talent. The International Mineral Processing Council (IMPC) has established a Commission on Mineral Processing Education to consider the global challenge of ensuring an adequate supply of well-trained mineral processing engineers. The Commission has, for the past two years, been collecting international information on the recent minerals engineering supply position and with a view into the near future. This data has been collated and there are some interesting and surprising results. North America produces 175 minerals engineering graduates per annum, South America 1020, Turkey and the Middle East 470, Africa 400 (mainly from South Africa), Russia and Eastern Europe 370, Australia only 40, India a poor 140 and China a staggering 2900. It is evident that India will find it difficult to sustain its large mining industry with local talent alone, while Australia's mining industry employs chemical engineers to satisfy demands. Although all of India's graduates go into industry, and around 80% of graduates from China and Australia, less than 50% of African and European graduates stay in the industry, their degrees being a springboard into other areas. Unfortunately Jan's paper is not on the CD and will not be submitted to Minerals Engineering but the data will be updated and presented at the IMPC in India next year. At this stage Jan would welcome any input or views. A very full day of papers followed Jan's keynote, with 10 papers from Australia, Mexico, Brazil, Finland, UK and Canada, and then Jon closed the conference, inviting everyone to attend SRCR '13, in Falmouth again in May 2013. This has been an interesting and enjoyable event with a great mix of people of different nationalities. Apart from the keynotes, I have not commented on individual papers, but would like delegates to add their own comments, towards producing an archival report for MEI Online. All corresponding authors have been invited to submit their final papers to Minerals Engineering for peer-review. The special SRCR issue is scheduled for publication early next year. 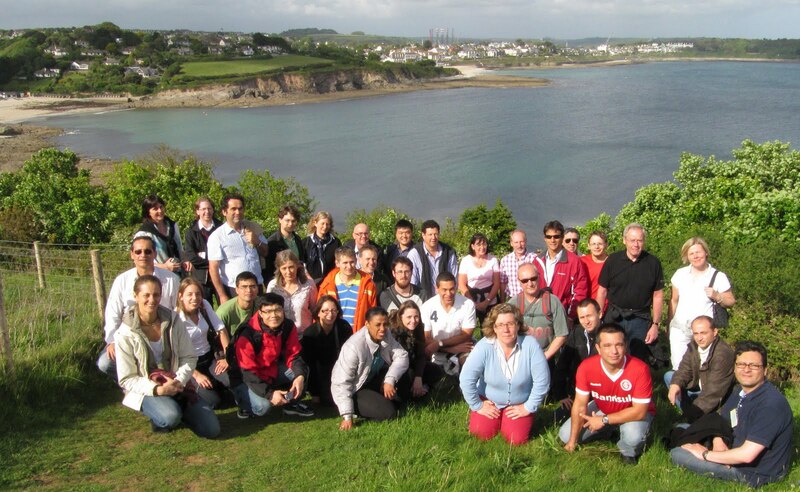 Sustainability through Resource Conservation and Recycling (SRCR '11) commenced this morning in Falmouth, with 46 delegates present, representing 16 countries. 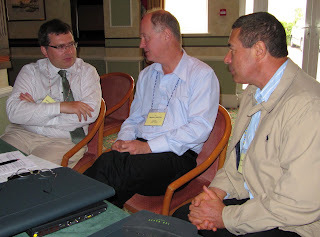 Uncanny really, as the previous two conferences in the series, held in Cape Town, each attracted 48 delegates. But why is this not a major MEI conference, such as Flotation or Comminution, each of which is attended regularly by around 200 delegates? Almost everyone at other MEI conferences expresses interest in the sustainability conferences but relatively few of them actually make the effort to attend. It would seem that, although everyone professes to have an interest in the environment, in reality it does not rate too highly on their agenda. Hypocrisy surrounds environmental issues. Companies try to cut costs by developing energy efficient processes, and then jump on the green bandwagon by showing how they have worked to cut carbon emissions. Politicians raise revenue by imposing green taxes, but when it comes to the crunch basically do nothing to reduce emissions apart from a lot of talk at expensive and unproductive conferences. Or am I just being cynical? Have I spent too long in hotels which advise me to save the planet by using my towel over and over again, rather than being honest, coming clean and telling me that it is a good way of saving them a little cash? Obviously there are many people who care passionately about the environment, and some of these are at SRCR '11. It is because of such people that we intend to continue with this small, high quality series of events. My report on SRCR '11 will be posted on the blog on Friday. 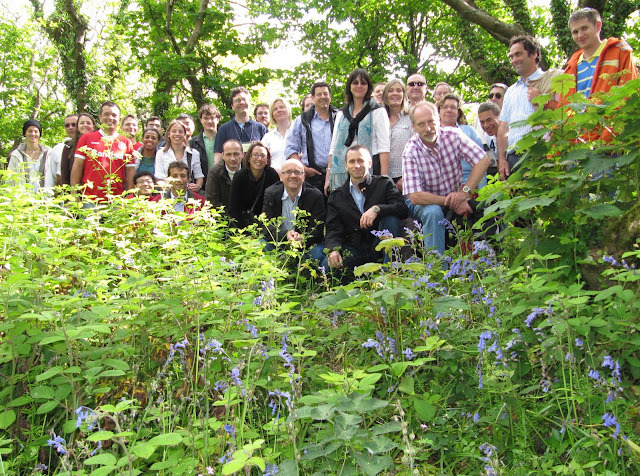 The Coalition for Eco-Efficient Comminution (CEEC) is a recently established not-for-profit company. Its mission is to market and raise awareness of relevant research and alternative comminution strategies with the objective of achieving lower process costs and further energy efficiencies in the mining sector. The comminution (crushing and grinding) step in mineral processing has been specifically selected for focus because it represents a substantial proportion of total energy cost in mining. For many mine sites the energy usage of the crushing and grinding processes represents at least 50% of total energy consumption. The substantial comminution energy input, combined with a growing body of research that highlights alternative flowsheet and technology strategies, represents a major opportunity for beneficial change. 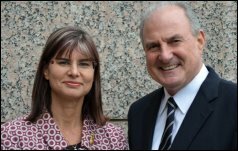 The announcement of our founding Patron, Owen Hagarty, also coincides with the unveiling of our “secret weapon”, CEEC International’s web-based information portal” said Chairman Elizabeth Lewis-Gray of Australia's Gekko Systems. The CEEC website lists a range of key research papers and profiles consultants and researchers who specialize in the field of comminution design. It will also be a function of the Board and Executive of CEEC to encourage debate and discussion of this topic within mining companies; at Board, senior management, and technical levels. CEEC’s Board includes world-leading scientists such as Dr Wayne Stange (CEO, AMIRA) and Professor Tim Napier-Munn (previous previous Director JKMRC and CEO JK Tech). Full details can be found on MEI Online, and on the CEEC LinkedIn open group. Comminution '12 will be held in Cape Town next April, and we are pleased to announce two important keynote presentations. Chris Rule, of Anglo American Platinum, South Africa will present 2020 - what will the typical PGM Concentrator flowsheet look like? 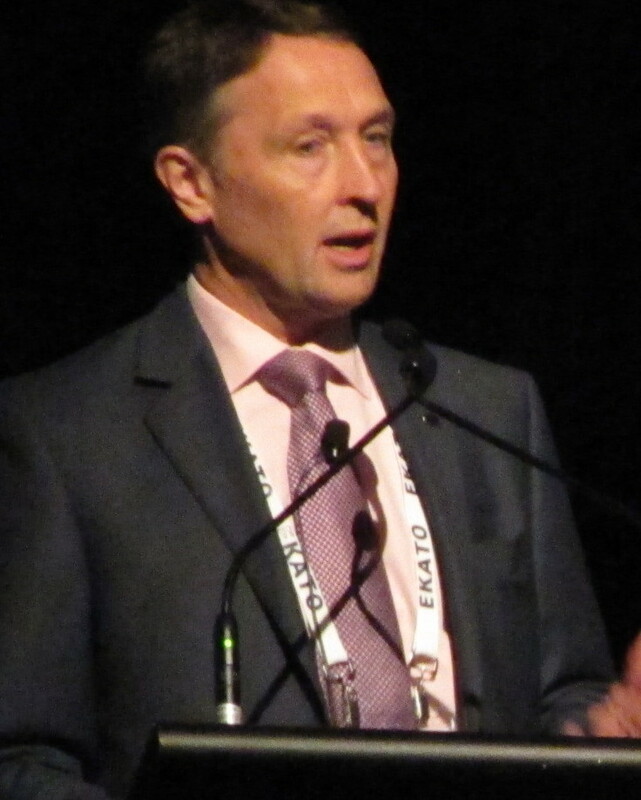 Chris Rule has been a metallurgist in the PGM industry for more than 30 years after graduating with a MSc at Imperial College, London in 1979. Uniquely, he has worked with and for all the major PGM producers in this time and has extensive experience in production, project design and execution and technical support to operations and technology commercialization. Currently in his role at Anglo American Platinum he is responsible, amongst other duties; for the introduction of the successful stirred milling projects and the implementation of new and innovative processing flow sheets. 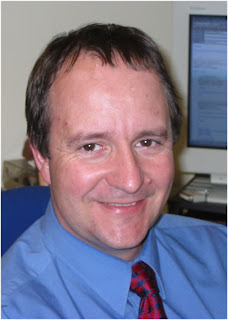 Dr. Richard (Ted) Bearman will present the keynote lecture Step Change in the Context of Comminution. 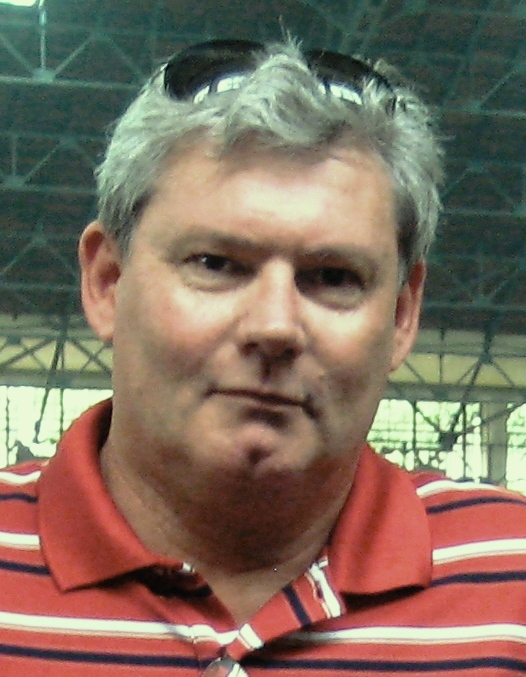 Dr. Bearman, Director of Bear Rock Solutions Pty Ltd, Australia has held a variety of technical and managerial roles over the last 24 years. 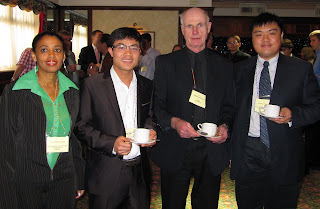 Much of his experience has been in the optimization of mining and processing operations. In addition Ted has been involved in the design and manufacture of comminution and processing equipment, including research and development of new machines and technology. In his last corporate role Ted was a General Manager for Rio Tinto in the innovation space and prior to that led the comminution effort for their internal Technical Services Division. He now runs his own consulting business and is actively engaged in a range of strategic and tactical studies. One of the members of the LinkedIn Minerals Engineering group asks the question "with head grades decreasing all the time will flotation still be there in 30 years?" I would bet my life that it will be (not too risky a bet, as I will be 95 at the time), but it is a strange question, as surely flotation will be even more important as ore grades decrease and minerals become more finely disseminated. Interest in flotation never wanes, after over 100 years development. I notice that a current headline in MEI Online announces that the 300th Jameson Cell has been sold, and new uses are continuously being found. Flotation is MEI's premier conference, attracting 200 delegates in 2009, and looking like it will be even bigger this year, with 13 major companies already providing corporate support for Flotation '11, and other sponsors imminent. Although registration will not open until July, we are now inviting companies to take the early opportunity of reserving exhibition space. The exhibition hall at the Vineyard Hotel provides maximum exposure, as this is where delegates break for coffee and lunch. Only 18 booths can be accommodated, and a number have already been reserved. 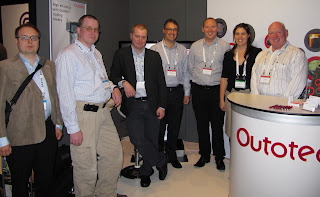 Take a look at the exhibition at a recent MEI Conference on YouTube. Also, a reminder that if you would like to present a paper at the conference, your abstract should be submitted by the end of June.